At 3R Rescue, we take our responsibility to our community and our donors seriously by striving to ensure the long-term financial sustainability of our organization. We also believe that our supporters should see where their money is going. 3R Rescue is a 501(c)(3) non-profit organization that is supported solely by donations. We receive no government funding. All monetary and in-kind contributions are tax deductible by law. Review and/or download our financial information and animal statistics below. 2018 data will be posted when the data is available. 3R Rescue is proud of its commitment to caring for rescued animals "as long as it takes" to find a forever home. We celebrate our successes with the special types of rescue cases we accept, not just the number of animals saved. In 2017, for example, just 39% of dogs we rescued were young, healthy and ready for adoption after routine medical and basic training. The remainder of these deserving animals fell into categories that required expanded time commitments and often extensive rehabilitation before they were ready for new homes. 39% were puppies, which included abandoned litters, some still nursing, and others with urgent nutritional and medical needs. 7% were seniors dogs, each with their own wise individuality, but unique veterinary and dietary needs. Senior dogs typically take longer to find new, forever homes. 11% required extensive medical treatment & recovery including emergency cases of broken limbs, a fractured jaw and an eye enucleation. 4% needed special attention for behavioral rehabilitation due to possible neglect, abuse or lack of socialization. 100% received basic medical and training/practice with basic commands and leash manners. Three dogs were displaced CALIFORNIA WILDFIRE VICTIMS that needed new families to call their own. Despite these challenges, there are many HAPPY ENDINGS to celebrate. But, don't take our word for it...read some Success Stories shared by 3R Adopters and smile for yourself! 16% were Waggin' Train rescues. 7,095 hours of volunteer service were donated. 4 local university student internships were active. 10,100 miles were traveled in 2017. 3R Rescue is a 501(c)(3) non-profit (Federal Tax ID: 46-0913265). Our annual IRS tax returns are available for public review. 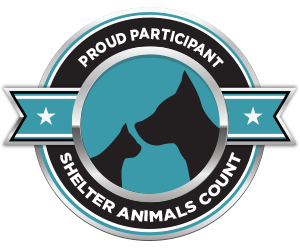 Reports generated by Shelter Animals Count, an independent, national database created to collect and share standardized baseline information of sheltered animals nationally. 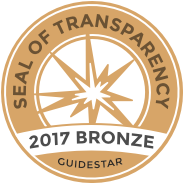 For the second year, we've received our GuideStar Bronze Charity approval and we are on our way to Silver! We appreciate the support of our donors, adopters and volunteers! 2018 data will be posted when available.